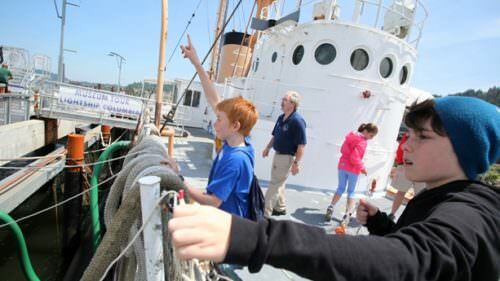 Build a boat, see a film, see nautical art and more. The historic river port city of Astoria may look postcard-perfect from land, but the river that birthed it has not been kind to the many sailors who’ve navigated it inland. 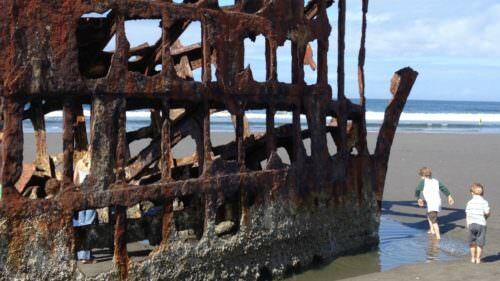 Since 1792, at least 2,000 Columbia River seafaring vessels have sunk to the bottom of the riverbed, taking 700 souls with them, earning the river the baleful nickname of the Graveyard of the Pacific. Things have changed, though. Today, the city is home to retailers, craft cocktail bars and a craft brewery, which have helped establish it as which one of Smithsonian Magazine’s “five best small towns to visit.” The riverfront is also home to the Columbia River Maritime Museum, which tells the town’s tales of sunken ships and modern nautical marvels. A trip to the museum is requisite for understanding the city and its history. 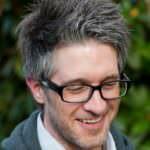 It’s like having a map of the past that you can use as you explore the town in its present-day form. 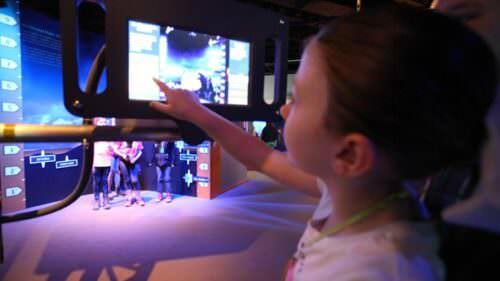 Here are five excellent ways to experience the museum and the river it hugs. 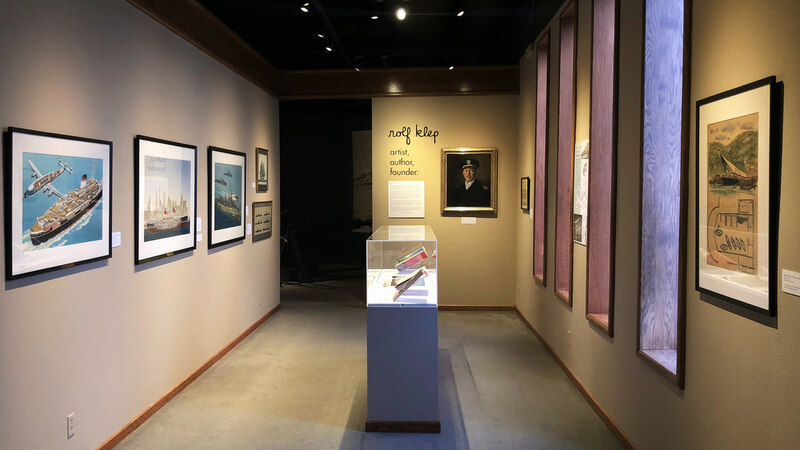 One of the museum’s newest exhibits is a tribute to its founder, Rolf Klep, a maritime enthusiast and a prolific illustrator whose work appeared in various magazines in the 1950s. The new exhibit displays the illustrator’s notebooks and eight of his paintings and drawings, including original sketches of the museum itself. The historian in you will zero in on Klep’s cutaway painting he made for “LOOK” magazine, which commissioned him in 1952 to commemorate the maiden voyage of luxury passenger vessel, the S.S. United States. On that voyage, the ship ferried some 1,600 passengers from New York to England and set the all-time speeding record for a transatlantic passage, clocking in at 35.59 knots — a record that still stands to this day. If you’re looking for a challenge, enroll in one of the museum’s many adult classes. During one weekend, you can learn to build a sea chest byapplying dovetail joinery, gluing and clamping using boat builder tools. You can return to the museum a couple of months later to learn to cast bronze, allowing you to put the finishing touches on that sea chest at home. 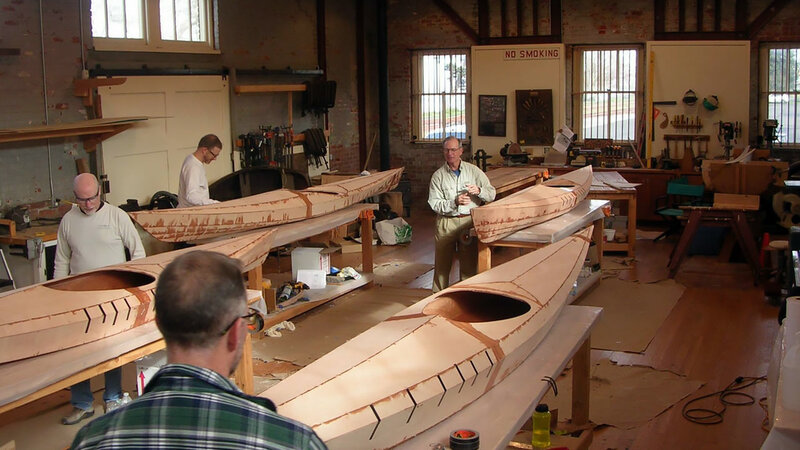 Most classes are two-day affairs, but if you’re truly committed, there’s a rolling bi-monthly, weeklong kayak-building class ledby the people behind Port Townshend, Washington’s Pygmy Boats and professional boat builder and Pacific Northwest amateur kayak adventurer Chuck Bollong, who’s paddled waters as near as the Willamette River to as far away as the Sea of Cortez. Each August, the city of Astoria celebrates its people and its maritime history by hosting the Astoria Regatta (August 8-11, 2018), a four-day festival that includes multiple parades and the annual crowning of the Regatta Queen. 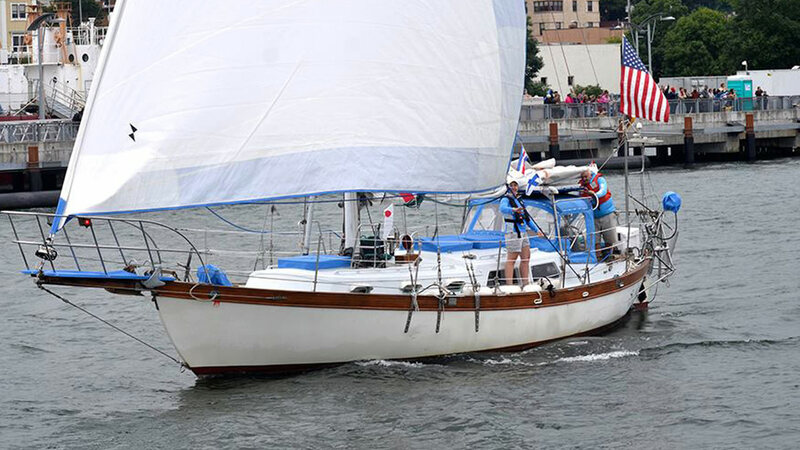 The 2018 lineup includes a movie at the park and weekend sailboat races, but the best way to experience the regatta is to pilot your own boat down the river in the annual Astoria Regatta Highwater Boat Parade (August 11, 2018), which always starts at the West Basin Marina and ends at the museum’s own shores. Take note: The start time for each parade varies each year depending on when the high tide rolls in. And while the parade usually comprises 15 to 20 boats, festival organizers are always looking for more seafaring captains to get involved — and (so long as you’re 18 years of age and a boat owner) it only takes a few seconds to register. 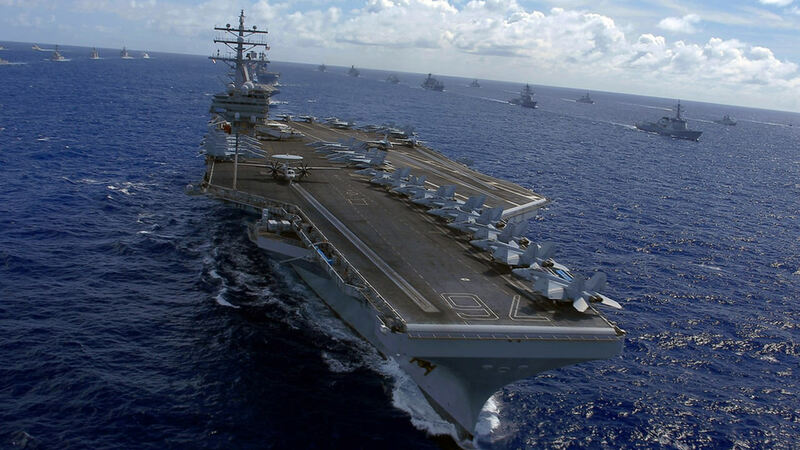 Each year on August 4, the United States Coast Guard will ring in 228 years of protecting the nation’s coastlines and providing aid when coastal disasters strike. The museum celebrates Astoria’s designation as an official U.S. Coast Guard city by offering family programs on the museum plaza. It’s also worth taking a detour to explore Maritime Memorial Park, located several walkable blocks west. 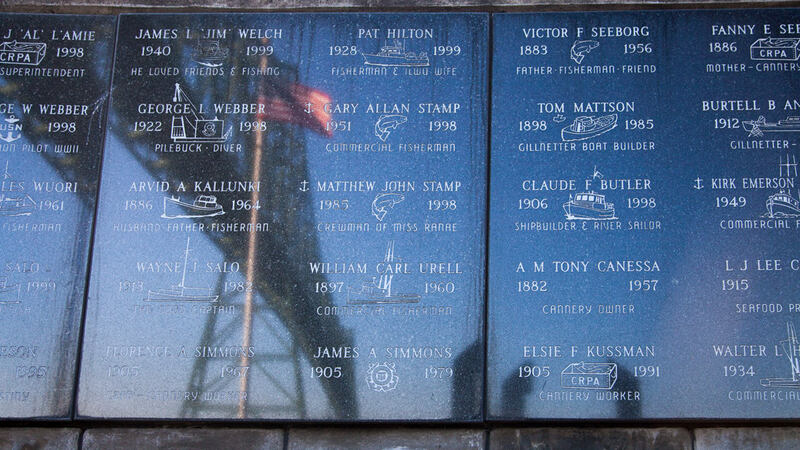 From there, you can take in expansive views of the Columbia River’s shoals in the shadow of the Astoria-Megler Bridge and pay tribute to the 700 people lost at sea whose names are engraved on the park’s memorial wall. When you go: The city of Astoria has all kinds of lodging for all kinds of budgets, including the Cannery Pier Hotel, the Hotel Elliott and the Holiday Inn Express & Suites. Dine pier-side at Baked Alaska or head to Bowpicker for some hearty fish and chips. And don’t forget to explore Garden of Surging Waves, the newest city park that marks the city’s bicentennial and that honors the Chinese immigrants who helped build the town we know today.